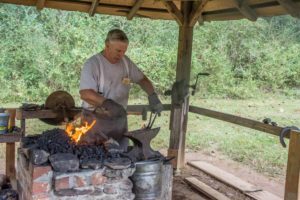 Students will step back in time when they cross a bridge into the Appalachian Settlement behind the Funk Heritage Center to attend the annual Georgia History Timeline. Each October, students 2nd through 8th grades enjoy this one-of-a-kind living history program. 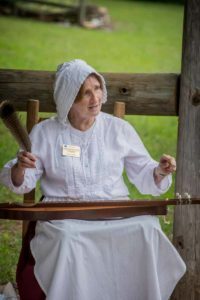 This unique two-hour program allows students to learn about Georgia history as they visit professional re-enactors or history interpreters who portray historical characters. 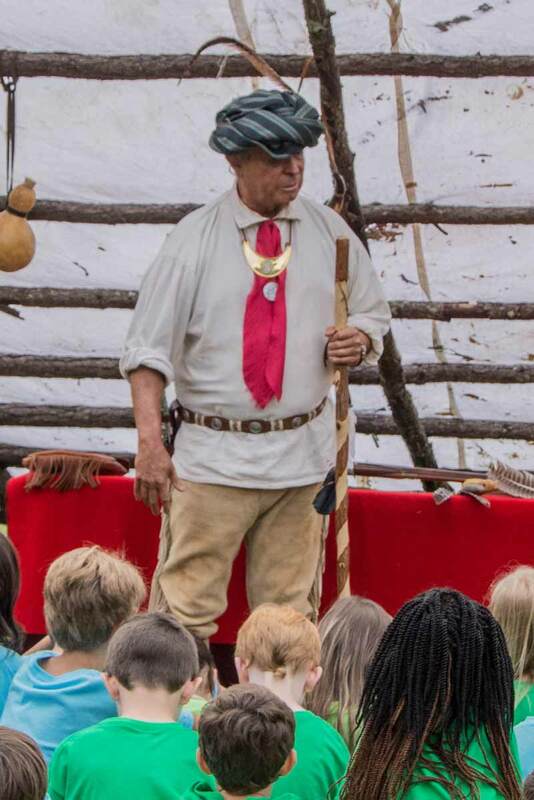 The first historical character students will see is a "pre-contact Indian" who will explain how he and his family lived before explorers came into contact with Native Americans. He will talk about their weapons, food, clothing, homes and daily life. Chief Charles Hicks will introduce himself. He was a bilingual Cherokee leader who was influential in convincing the tribe to acculturate to the European-American ways. He became a Christian and supported mission schools to educate the children. Sequoyah will discuss his interesting life. 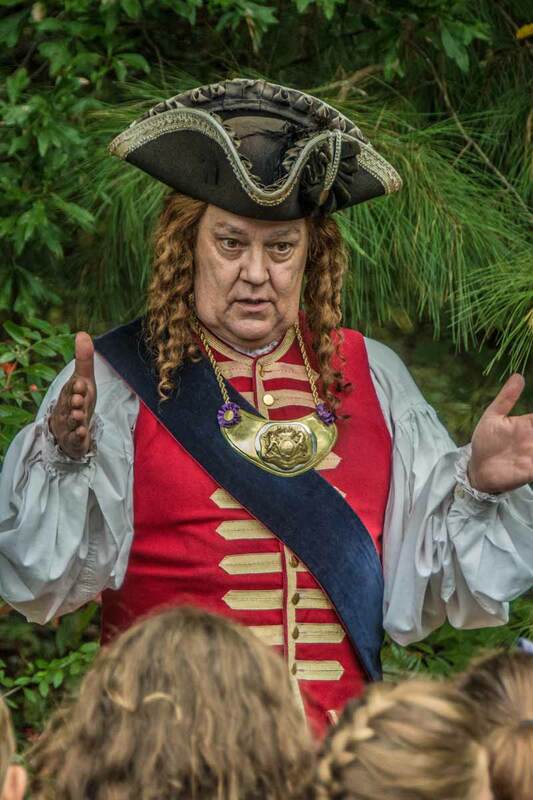 He will explain how he invented and designed a system of reading and writing for the Cherokee people used to establish their own newspaper. The Cherokees called this "talking leaves." The Cherokee Nation honored him with a special silver medal. 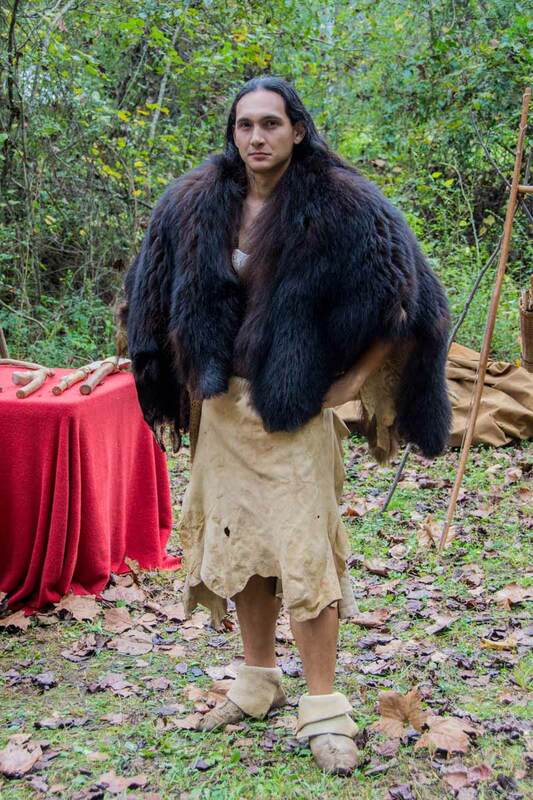 Jim Sawgrass is a native Floridian and a member of the Muskogee Creek Indian Tribe. 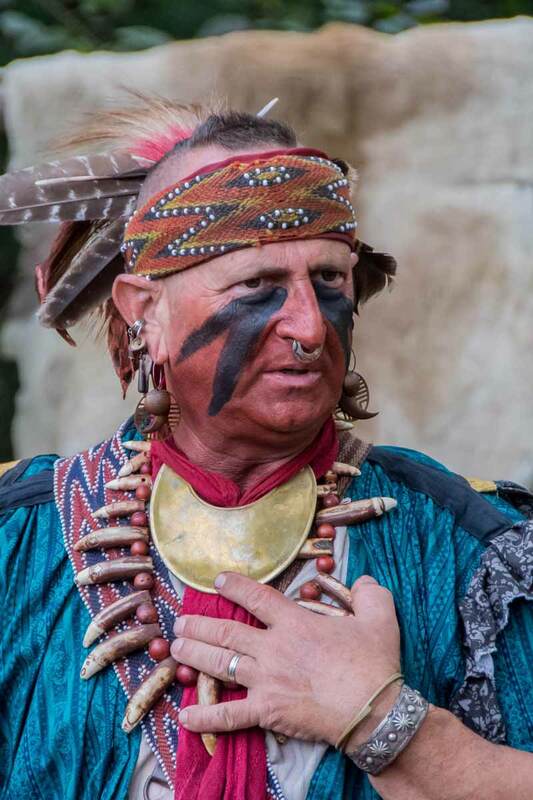 He has been sharing his knowledge of the Southeastern Native American tribes for over 25 years and will demonstrate some of his many weapons. 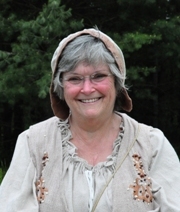 Visitors will learn how the Southeastern Indians hunted for their food and depended on the environment for everything. General James Oglethorpe sailed to the coast with four small boats and down the Savannah River in February, 1733. He will discuss the plans the English had for the new colony of Georgia and display many interesting artifacts from the period. 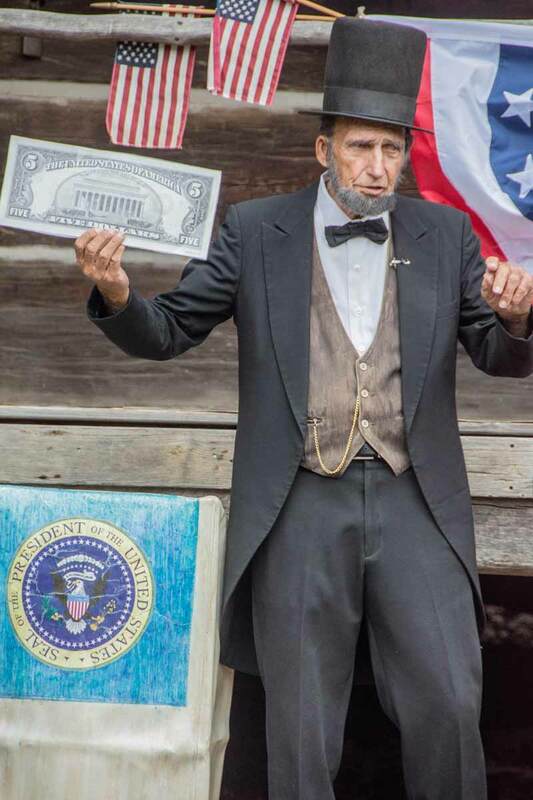 Abraham Lincoln is always a favorite of the students who attend the History Timeline. He will discuss his time as the President of the United States. The students always enjoy having their pictures taken with this famous man! 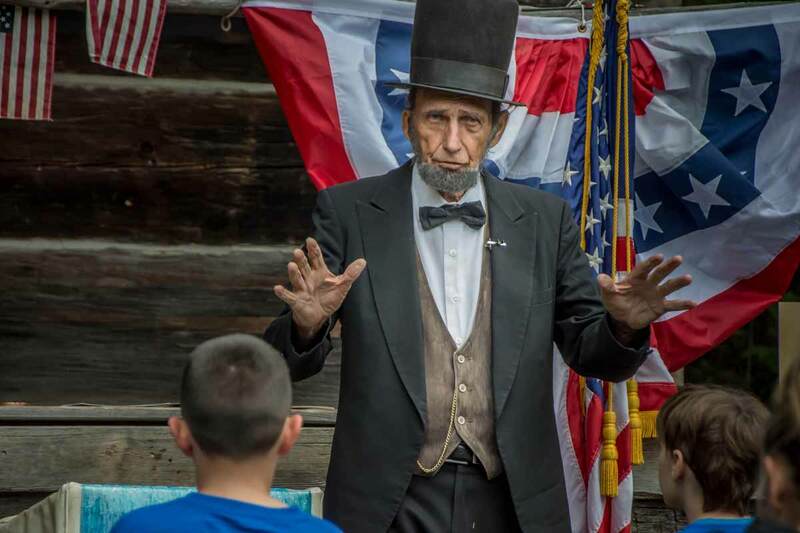 This popular living history event is reserved for school students. Teachers should make reservations as early as possible to select the best day and time for their class to attend. Program times are available from 9 a.m. through 12:30 p.m.
Picnic tables are available near the bus driveway. A mini-store is located near the picnic area where children can purchase inexpensive items. $12 for students and $15 fior adults. For additional information or to make reservations, call 770-720-5970. Students will visit settlers and learn how they lived on Georgia's frontier. Pioneer ladies will welcome the visitors to an authentic 1840s log cabin where the smells of food cooking on an open hearth fill the air. 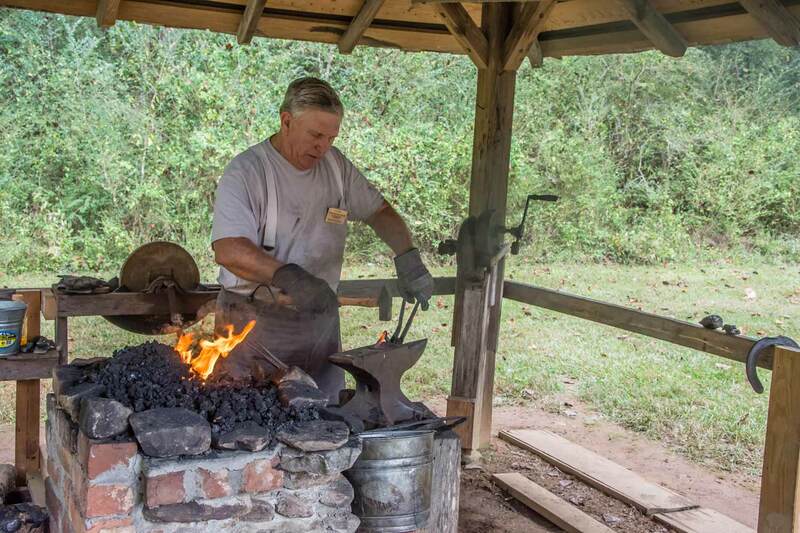 They will visit a blacksmith shop and watch these craftsman demonstrate their skills. 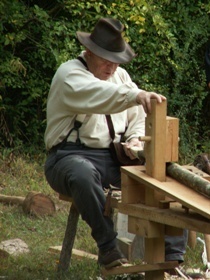 Other pioneers will demonstrate skills that enabled them to survive in Georgia's mountain wilderness. 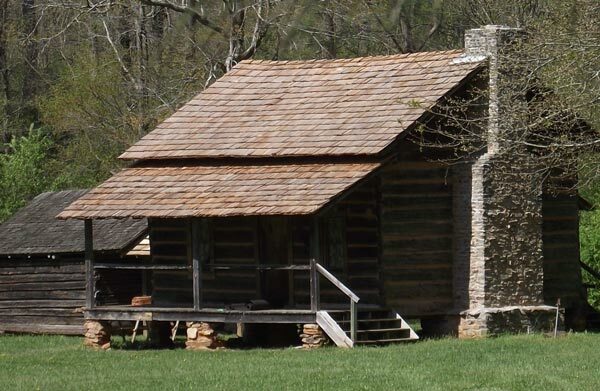 Above: The blacksmith shop, woodworker and pioneer ladies in an 1840's log cabin are always enjoyed by students. "Thank you for organizing such a wonderful and educational event for our students. I can not remember when we have attended such an efficiently run and informationally sound field trip. Kudos to you and your team!!" 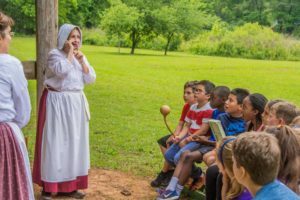 "This field trip met many of our curriculum needs for our students, the portrayals were effective and engaging, students learned a great deal of information, and the materials mailed about the event was concise and helpful in our preparation. Great job all around!" "We loved it, loved it, loved it! It was the most interesting and informative re-enactment I've ever seen. "I'm from Cherokee County - it makes me so proud that we have something like this to offer our students. Well done!" "You have made all of the people we have been talking about come to life.Thank you so much!" "Great preparation for the CRCT - A wonderful learning experience. We will definitely attend the event again next year." "This was the best of all of the Timeline programs, and I have brought my students for the last four years. It was organized so well, and the presentations were perfect!" 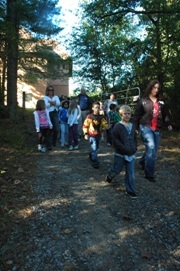 "I brought a home school group with a variety of ages, and everyone absolutely LOVED the field trip. Thank you so much!" 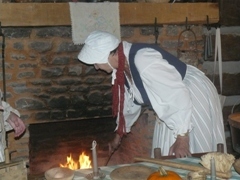 *Re-enactors in the program are based on availability.